Even though we are a small Sole Trader Business, part of our Company ethos is to ensure we can give back by supporting an array of Dog related Charities. My Business was founded on the basis for my love of Dogs, and love to be able to show my support where I can. 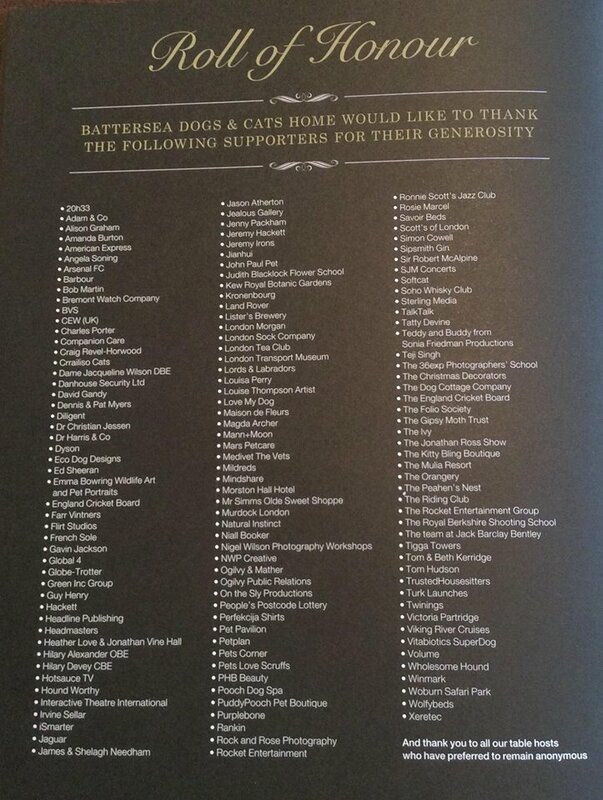 Over the past few years I am proud to be a part of the prestigious Annual Battersea Cats & Dogs Collar & Coats Gala Ball, where I donate a number of Auction Prizes to this worthy cause, and throughout the year I also select a small number of additional Dog related charities. Details of the foundations both Locally & Nationally The Eco Dog Design Company have supported are listed below.